The Crew Dragon and Starliner spacecraft are the centerpieces of NASA’s drive to resume launching U.S. astronauts aboard U.S. rockets from U.S. soil, ending the agency’s sole reliance on Russian Soyuz spacecraft to ferry crew members to and from the International Space Station. NASA’s final currently contracted Soyuz flight is scheduled for launch in July. The agency is counting on its commercial crew program to begin operational crew rotation flights before the end of the year. The commercial crew program has suffered multiple delays due to technical issues and congressional funding shortfalls, but NASA managers say the new spacecraft are close to being ready for their initial test flights. 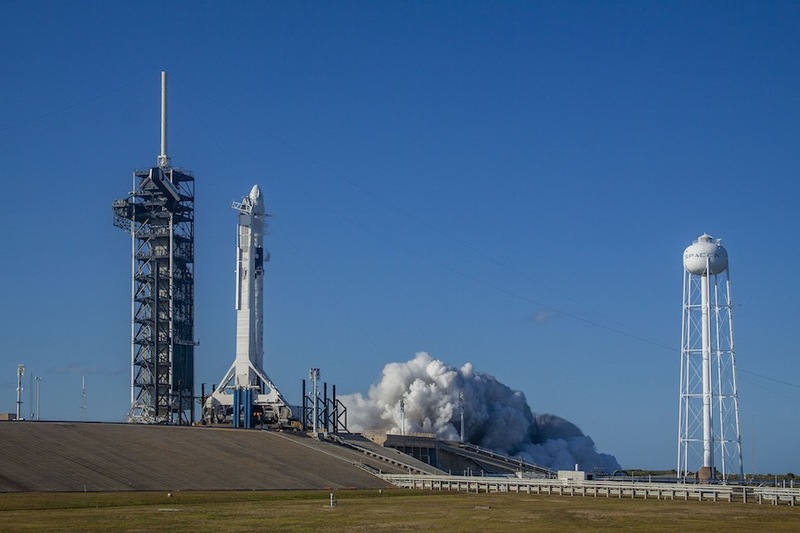 SpaceX is first up, now targeting March 2 for launch of its Crew Dragon from historic pad 39A at the Kennedy Space Center, about two weeks later than had been planned under the most recent assessment. The unpiloted capsule will execute an autonomous rendezvous with the space station, moving in for docking the day after launch. Unlike approaches by unpiloted Dragon cargo ships, which halt their approaches just short of the station and wait for the lab’s robot arm to lock on and pull them in for berthing, the Crew Dragon will fly a computer-guided rendezvous all the way to docking at a modified port at the front of the space station. For the initial SpaceX test flight, the Dragon will depart five days after docking, plunging back into the atmosphere for a splashdown in the Atlantic Ocean east of Cape Canaveral. Recovery crews will haul the craft to shore for detailed post-flight examination. The capsule then will be readied for an in-flight abort test in June. The Crew Dragon is equipped with rocket engines that can quickly push the ship away from a malfunctioning booster at any point from launch pad to orbit. SpaceX already has conducted a successful on-pad abort test. Assuming the in-flight test goes well and no other major problems crop up, NASA and SpaceX hope to launch another Crew Dragon this summer, this one carrying NASA astronauts Robert Behnken and Douglas Hurley to the station. The test flight had been planned for mid June, but sources say it’s now targeted for July. Whenever they take off, Behnken and Hurley plan to stay aboard the station for about a week before returning to Earth with another Atlantic Ocean splashdown. 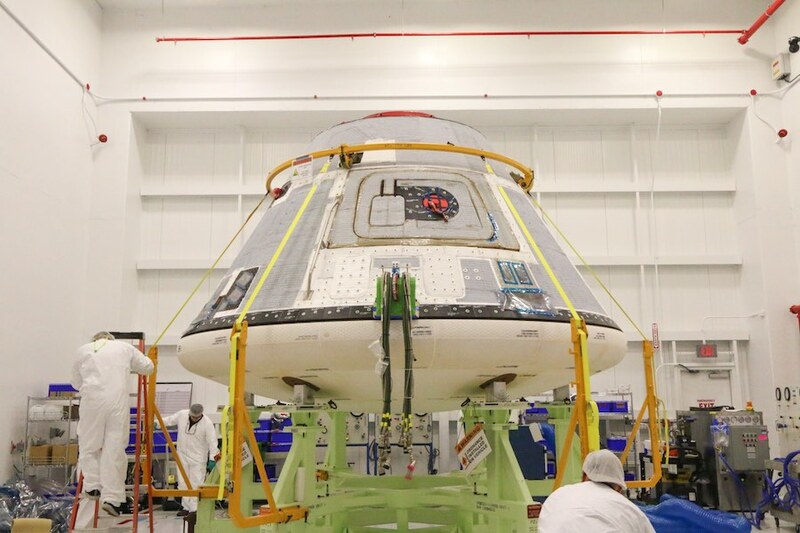 Boeing, meanwhile, plans to launch its CST-100 Starliner capsule on its first unpiloted test fight in April. The Starliner will blast off from pad 41 at the Cape Canaveral Air Force Station, riding into space atop a United Launch Alliance Atlas 5 rocket. As with the Crew Dragon test flight, the Starliner will carry out an autonomous rendezvous and docking with the station and depart about a week later. Unlike the Crew Dragon, the Starliner is designed to land in the western United States using parachutes and airbags. Boeing plans to follow the unpiloted test flight with a launch pad abort test in the June timeframe. That should clear the way for Boeing to launch a three-person crew — company astronaut Chris Ferguson, a former shuttle commander, and NASA astronauts Mike Fincke and Nicole Mann — in late August. If all goes well, operational crew rotation flights could begin well before the end of the year.